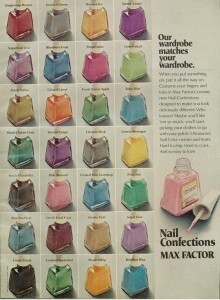 Musings from Marilyn » There Were Colorful Nails in 1973 Too! Posted February 20, 2015 by finnfemme & filed under Beauty, Daily Life, Fashion, Vintage. With all the wildly different nail polish colors of today, it’s easy to think that it is only a current thing. 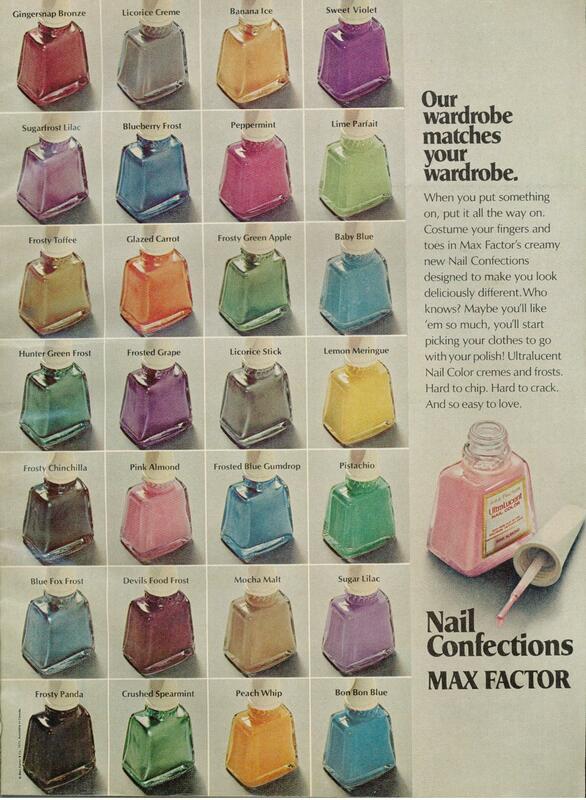 But this Max Factor Nail Confections ad from 1973 tells a different story; that all the nail polish colors of the rainbow were available then. Even black! Which I thought came about during the goth 90s. The Nail Confections colors were pretty amazing. Everything from Mocha Malt to Lemon Meringue to Pistachio to Frosted Blue Gumdrop. They were meant to costume your fingers and toes; to make you look deliciously different. And that you would like the colors so much that you’ll start picking your clothes to go with your polish. It just goes to show you that what goes around, comes around. 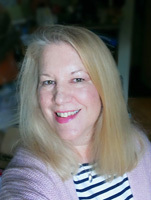 Even 42 years later!